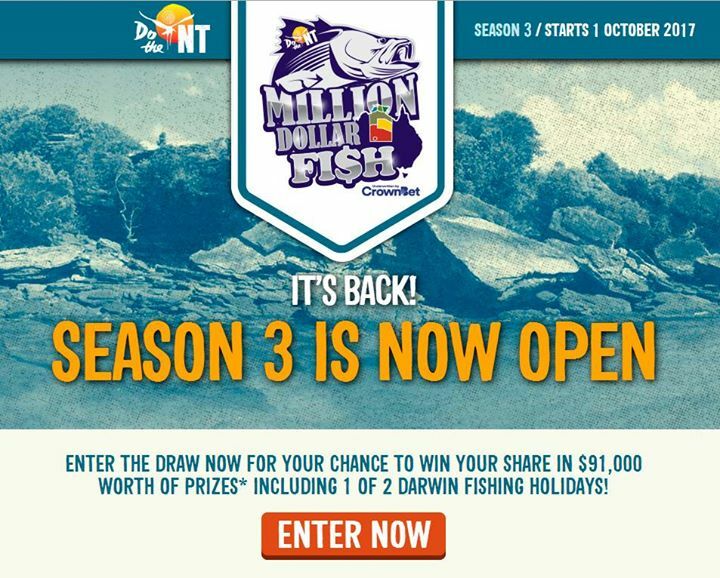 The NT’s Million Dollar Fish Season 3 starts October 1 … 100 x $10,000 tagged barra, and $1 million dollar fish! The fish are released in waterways across the NT. All the best barramundi spots are in the 2017/18 North Australian FISH FINDER … http://www.fishfinderbooks.com … along with our famous NT Fishing GPS Data Card. Copyright © 2009 Barramundi Fishing NT. All Rights Reserved.